I remember when I finished the first 150. I made is so right when I beat the Elite 4 that I'd have them all and just need to go look at the book. Then later that day, I had seen 210. Pretty good seeing more then 60 pokemon in one day, hu? I consider Giratina the 'opposite side' of the mystical Dialga and Palkia, being born when the world was first created. Basically the anti-existence to all the other pokemon. really you just have to run around and use your pokeradar to try and find the pokemon you need to complete your sinnoh pokedex. you see dialga and palkia at spear pillar (depending on your game) and Cynthia's mom shows you a picture of them after you catch one. Let's see... I am missing Spiritomb, Munchlax, Skorupi, and Drapion from the Sinnoh-only Dex. That's it. Anyone know if it HAS to be 32 different people in order to get Spiritomb? 1 person 32 times 2 people 16 times ect. it does not have to be different people. this guide to me is rated #1, it helped me get 11pkmn that i nvr found in one day!! I need help, I need to find and for PLATINUM not DIAMOND/PEARL for Sinnoh Dex and no Wifi. Use Rock Climb to the left of the south entrance and walk left. 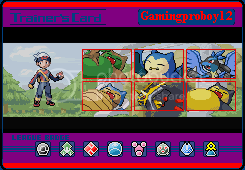 He has a Haunter, a Gengar, and a Gardevoir. When you say bad things on Pokemon forums about people with Asperger's Syndrome, you say bad things about Pokemon creator Satoshi Tajiri, too. Put this in your signature if you support people with Asperger's Syndrome & Autism Spectrum Disorders. I have Wi-Fi, and I beat the E4. This isn't as bad as my friend he still needs Magikarp! Thanks! EDIT: I just got the Nat Dex! Btw, there's a trainer with Wormadams on Route 214, and one with a Togetic near the beginning in Victory Road, for those of you having toruble with that. Last edited by khoufu on Sun Apr 26, 2009 9:15 am, edited 1 time in total. Hey guys I need help finding a Pokemon, any help would be great. I'm playing Platinum by the way. I'm looking for the TRU Arceus, if you have one up for trade please PM me. Togetic can be found by a pokemon collector, on the route south of Sandgem. Also, what do you mean 150 poemon? I'm seeing 186 on my pokedex. Gengar can be found in one of the trainers at Victory road. Stock up on repels, the steel and rock type pokemon can get really annoying after the 20th time. 150 is Diamond/Pearl. Well, that should be 151, because 151 is Manaphy and some Diamond/Pearl players haven't attained it yet (despite the 10+ I think, events that give away Manaphy). 210 is the full Platinum dex. Also, Togetic can be found owned by a trainer in Victory Road. The trainer is called Birdkeeper Hana, and has a Lv 45 Noctowl and a Lv 47 Togetic. Wormadam: Look on Route 214, the trainer Beauty Devon has three Wormadam (one of each form). Hey! I'm looking for #152 in the PLATINUM Sinnoh Dex, and I have no idea what it is. And it's my last pokemon that I need for the National Dex. To get it registered, go to the Pokemon Mansion, and go to the room where Mr. Backlot is, and on the table you'll see a book, read it and you will obtain Manaphy's data. Actually #152 is Rotom and I ended up getting him. and the secret key. FAN ROTOM GO (WHIRRR)! I'm still having a lot of trouble with Sudowoodo, I can't find a collector on 210, and the two in the shop don't have it. Also with #170, evolution after Duskull, and Rhydon. how did you get Rotom???? i've been searching and searching and can NOT find it. please please help me!!! Rotom: Inside Television in the Old Chateau. Found wild at Level 20. Rotom is actually found at lvl 15.
but you can't access the t.v. rotom until AFTER you have to sinnoh dex ... i tried already ... but i need rotom to finish the dex ..
On Platinum, you can get Rotom, lv 20, anytime as long as you have Cut (or walk through walls) and go AT NIGHT! Hey, anyone know which pokemon #114 is and where to see/get it and such? I'm on Platinum, by the way.